1. Make cupcakes according to the package. Let cool completely. 2. While the cupcakes are baking, empty your frosting into a small bowl and mix it with the food coloring until you have a nice bright yellow. 4. Carefully open all the oreos and discard — or eat — the sides without cream on them. 5. Gently place one or two of the frosted oreo sides onto the cupcake. Top each with one M&M. 6. Cut licorice into 1 inch long pieces. 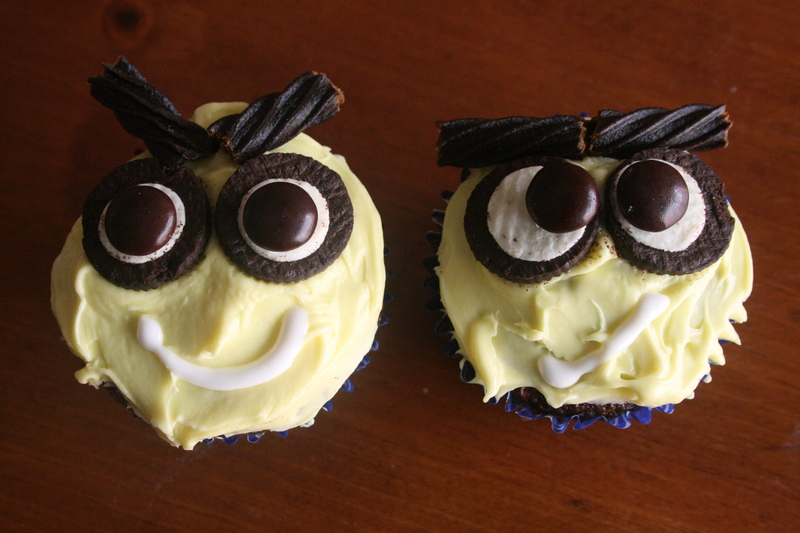 Arrange in threes for a minion-like look, or place above the oreos for cute little eyebrows. 7. 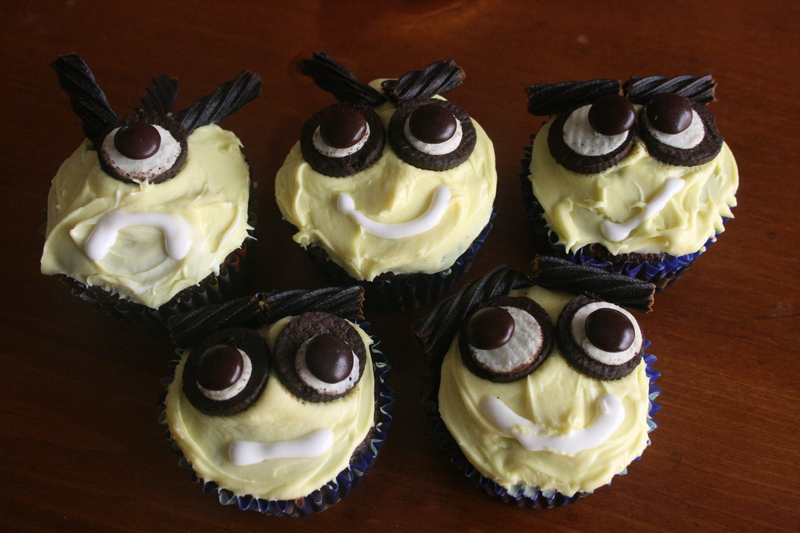 Use the tube of frosting to create different mouths on the minions. Have fun with it. Nothing special, and not what I originally intended them to look like, but I thought that they were still fun and cute! Happy weekend!